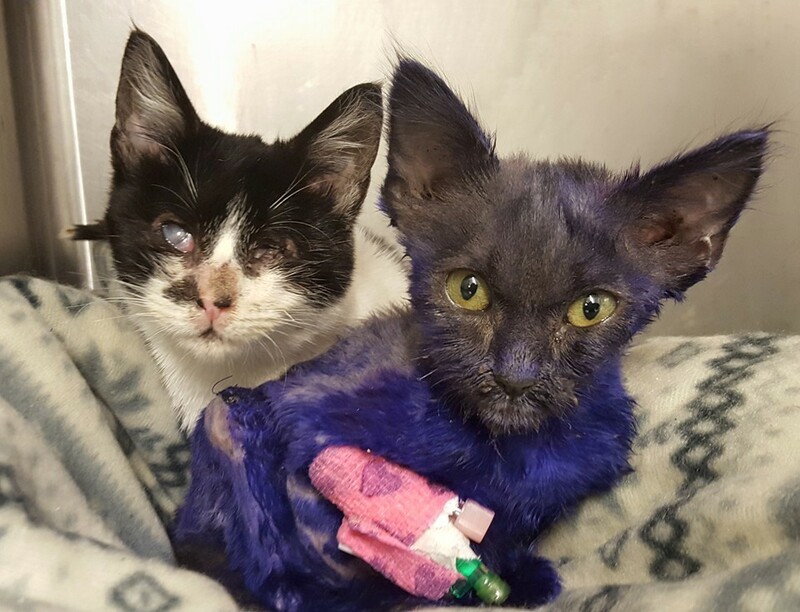 I had to share the story of the darling California kitties, Smurf and Wanda. They both suffered abuse and injury, but luckily, they were rescued by kind humans and found each other. Read on and don’t forget to watch the videos–priceless. Smurf massages Wanda even though one of his arms is still in a pink cast. Yes, me too. They give me hope. Yes, thank God. You’re welcome, Patricia. Makes me think unkind thoughts…toward certain kinds of people. There are some evil monsters out there. Unconscionable acts of cruelty. These two sweet babies give us hope….hope for recovery, redemption and love.